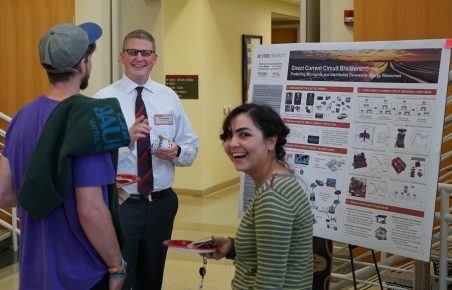 The ECE Graduate Student Association at NC State hosted their annual research symposium on November 1, 2018. Five ECE graduate students from different specializations were selected for the impressive research. 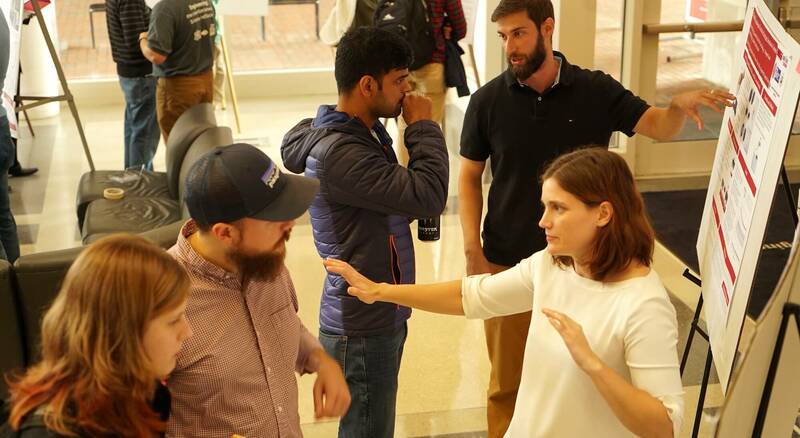 ECE Graduate Student Association hosted the ECE Graduate Research Symposium on November 1, 2018. The Symposium is held annually and is a great way to learn about the exciting research happening in the Department. The winners of this Symposium will represent the ECE Department at NC State University’s Graduate Research Symposium in March 2019. Below are the winners and information about their research. ECE GSA represents graduate students in the Department of Electrical & Computer Engineering. Its mission is to facilitate student-initiated academic activities, provide a forum for graduate student opinions in all matters of mutual interest, and promote professional interest and fellowship among current graduate students and the ECE alumni. NC State University, in collaboration with the North Carolina Coastal Studies Institute, is addressing DC system protection challenges with high speed, high efficiency, medium-voltage DCCB devices, and DC Microgrid protection coordination strategies. In our work, DC system dynamics were explored using advanced computer modeling, simulation, and laboratory experimentation. Using the discovered DC system characteristics, we proposed and constructed a new ultra-fast mechanical switch and an advanced solid-state switch control scheme to develop a bidirectional, millisecond-level, hybrid DCCB. Our coordinated operation of the new mechanical and solid-state switches is capable of fault isolation in medium-voltage DC systems in 2 milliseconds. The new hybrid DCCB design and control system is being produced in conjunction with other facilitating technologies to develop a next-generation smart DC Microgrid distribution system. This bidirectional, medium-voltage distribution system enables harvesting clean and sustainable energy from the wind, sun, and ocean while promoting a more robust and adaptive infrastructure to ever-changing global energy needs. There has been a major push towards the design of battery-less radios like RF-powered radios. As part of this research, the design and characterization results of a power efficient approach for RF-only logic by using dual-phase and quad-phase powering scheme is discussed. This approach is shown to improve the power conversion efficiency by 2X as compared to a single-phase RF-only scheme. As part of the proposed work, system level architectures and possible non-volatile memory implementations compatible with RF-only logic are discussed. To validate the scaling of RF-only logic-based systems, the implementation of a Gen2-RFID tag in an advanced technology node is proposed. To further prove that RF-only logic can be used for applications other than RFIDs, the design and fabrication of a non-RFID protocol based compact low-power backscatter radio for short-range applications are planned. Patient outcomes in the medical field are improving through the use and incorporation of robotics technology and laser physics, e.g., the use of optical fibers and lasers in micro-surgery. This research describes the design and implementation of a new optical fiber laser micro-surgery system, one that is the first to use closed-loop feedback control. In this computer-assisted laser scanning tool the laser beam is controlled by four magnetic actuators. After attaching permanent magnets to the free end of the optical fiber, it is the control of these four magnets that produces an accurate laser scanning system, one suited to micro-surgery applications. The interaction between the electromagnetic fields generated by the external magnetic coils and the flux of the internal permanent magnets, produces the torques to control the desired movement of the optic fiber. The tracking error of the optic fiber is compensated for by using a photo-detector sensor as the feedback transducer in the control system. The magnetic torque bends the optical fiber and the feedback from the photo-detector gives automated control and high-speed laser scanning of the fiber tip. Machine learning (ML) and artificial intelligence (AI) are currently being used extensively for systems such as autonomous cars and drones. Here, ML technology is applied in a bio-medical robot application. Autonomous intelligent power wheelchairs are proving to be of great assistance for patients with rare diseases, like Motor Neuron Disease (MND), who gradually lose their sensory perception and control capabilities over time. The goal was to develop a smart wheelchair that would extend their quality of life. Here, voice control became a focus; because these patients’ speech deteriorates over time. So, a cloud-based deep neural network (DNN) was designed to classify a patient’s accents. The direction of arrival (DoA) of voice commands was determined for a strong guttural accent, to represent changes in an MND patient’s speech pattern over time. This developed controller, in addition to the wheelchairs ability to avoid obstacles and navigate through an indoor environment using Kinect and LiDAR sensors, provided robust localization and navigational control of the wheelchair. The overall system was designed to utilize cloud-based technology, to classify the accents based on the voice features using a DNN, and to determine the DoA with respect to the wheelchair and assist the navigation.